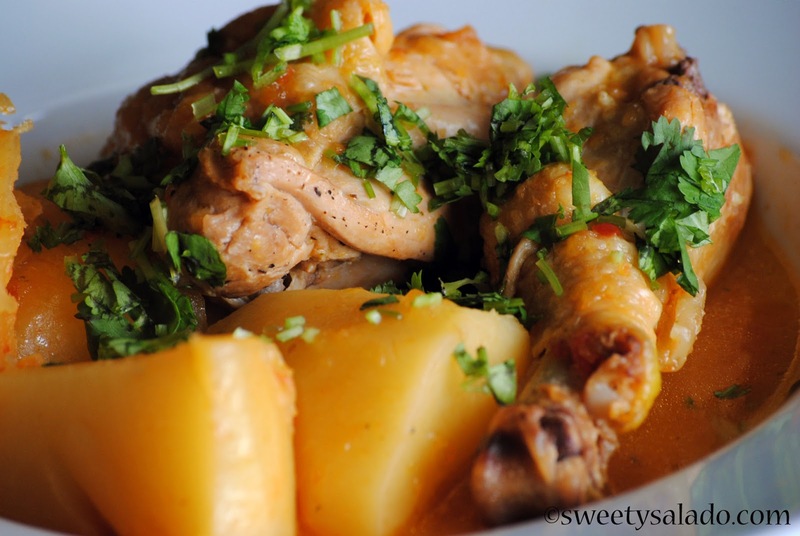 People who live or who have lived in Colombia know very well that any type of stew is welcome at any time of day and place. Stews are the type of food that we eat the most in Colombia, especially at lunch time and we always serve them with a side of white rice and avocado. Every now and then we also serve it with a side salad but that’s only to not feel bad for the amount of potatoes and cassava that it has. 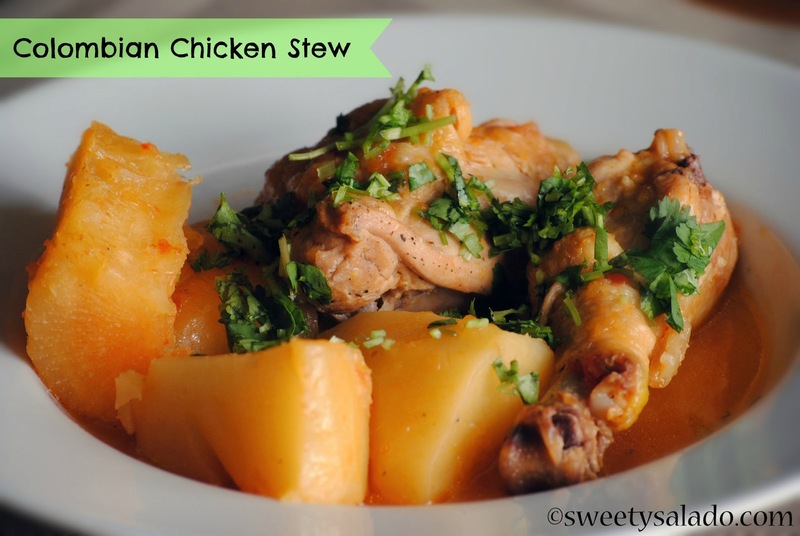 Again, I have to be honest with you guys and confess that stews have never been my favorite food, particularly if they have chicken or hen. I don’t know if it’s because we ate them almost every day for lunch when I was a kid of if it’s because I have never liked the tasted of boiled chicken, I really don’t know what my deal is. Regardless, the point is my husband loves them because they remind him of Colombia and therefore, I had to learn how to make a really good chicken stew so we can enjoy it at home. 1. Put all of the ingredients for the sauce in a blender and blend until smooth, then set aside. 2. Season chicken with salt and pepper, skin side first. 3. Heat oil in a large pot or dutch oven at medium high heat. Add chicken skin side down and season again on the opposite side. Brown for about 4-5 minutes on each side. 4. Add potatoes, cassava, tomato sauce, water and aliños and stir well. Bring to a boil, cover, lower heat to medium low and cook for 30-35 minutes or until potatoes and cassava are cooked through. 5. Once cooked, taste for seasoning and add more salt if needed. Garnish with chopped cilantro and serve with white rice and avocado.